Dunlap1 — Dunlap International, Inc.
Pictured from left to right: Penny Pritzker, United State Secretary of Commerce; Karen Dunlap, President and General Manager, Dunlap International; Deb Caw, Export Coordinator/Document Specialist and Arun Kumar, Assistant Secretary of Commerce. 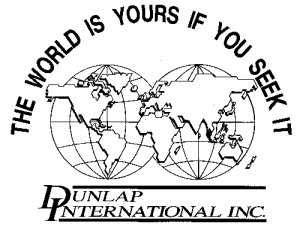 It is with great joy that we say “Thank you” to our customers for their loyal service to Dunlap International. In May Deb Caw and I were honored to accept the Presidential E Award for Export Service on behalf of Dunlap International in a special ceremony in Washington D.C. 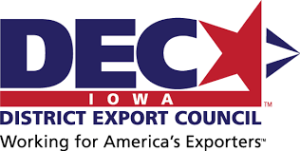 The President’s “E” Award was created by Executive Order of President John F. Kennedy to afford suitable recognition to persons, firms, or organizations which contribute significantly in the effort to increase United States exports. 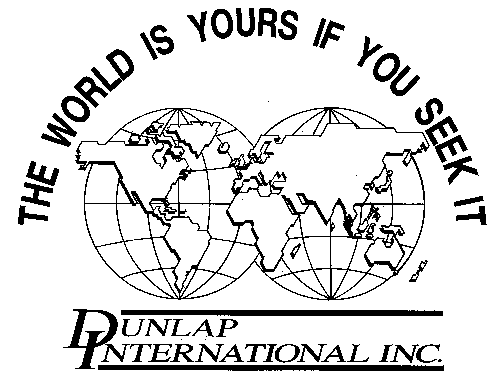 Dunlap International currently exports to 70 counties. Over the past 25 years we have served more than 500 clients in multiple states. During the past four years, our export transactions increased by 53%! This enables us to sustain jobs and even expand our workforce. We couldn’t have done this without the trust and confidence of you, our customer. In 1961, President Kennedy signed an executive order reviving the World War II “E” symbol of excellence to honor and provide recognition to America’s exporters. 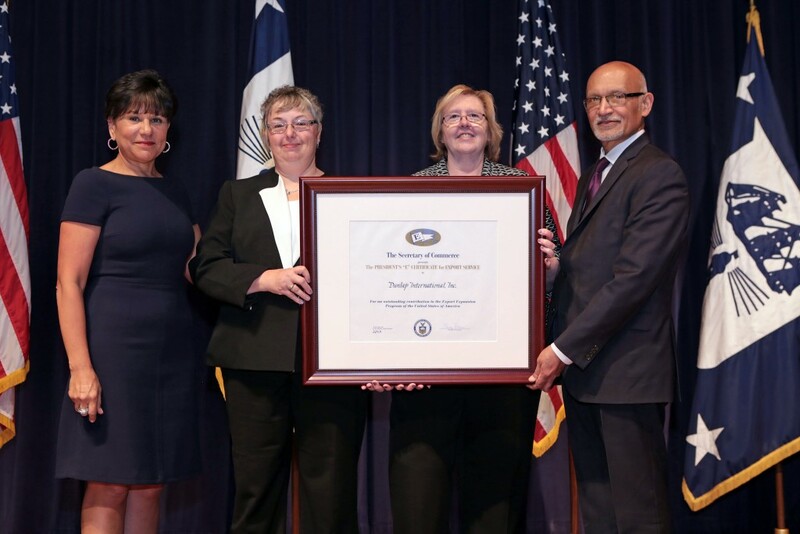 On May 18, 2015, Secretary Pritzker honored 45 U.S. companies with the President’s “E” Award for their outstanding work to reduce barriers to foreign markets and to open the door to more trade around the world. 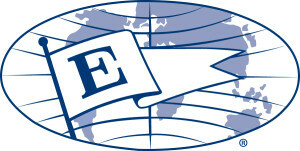 American companies are nominated for “E” Awards through the U.S. and Foreign Commercial Service office network, located within the Department of Commerce’s International Trade Administration. Record years of successive export growth and an applicant’s demonstration of an innovative international marketing plan that led to the increase in exports is a significant factor in selecting the overall winners.